'Supergirl': Who Are the Other Worldkillers in the Comics? Supergirl took things to a whole new level in tonight's episode -- including the reunion of a unique DC Comics group. Spoilers for tonight's episode of Supergirl, "Both Sides Now", below. The episode saw Kara Danvers/Supergirl (Melissa Benoist) facing a new threat, as they uncovered another Worldkiller living in National City. While Kara has been dealing with Samantha Arias/Reign (Odette Annable) all season, Reign now has a second potential Worldkiller teammate in the previously teased character Julia Freeman/Purity (Krys Marshall). For those who are familiar with Reign's teammates in the comics, the partnership in tonight's episode is a long time coming. But it's safe to say that Supergirl's version of the Worldkillers is taking some liberties from the pages of DC Comics. In the comics, the three other Worldkillers are pretty varied in terms of appearance and what powers they bring in a fight. Perrilus, a sort of lizard-Kryptonian hybrid, can use her poison tentacles to kill off entire races. Deimax, a leopard-Kryptonian hybrid, specializes in mass terrain destruction. And Flower of Heaven, who was created from a mysterious alien embryo, can manipulate energy. While Supergirl's version of the Worldkillers is sort of paving its own way, there's a good chance that something from their comics origins could be brought to life. In the comics, Kara's father has a hand in creating the Worldkillers, which was a decision that he ended up deeply regretting. As we hinted earlier this year, there's a chance that Kara's mom Alura (Erica Durance) could have helped to create the Worldkillers, something that would shift both Kara and Reign's perspectives on the whole ordeal. After all, Samantha's first transition into becoming Reign was brought on by a grotesque nightmare version of Alura. 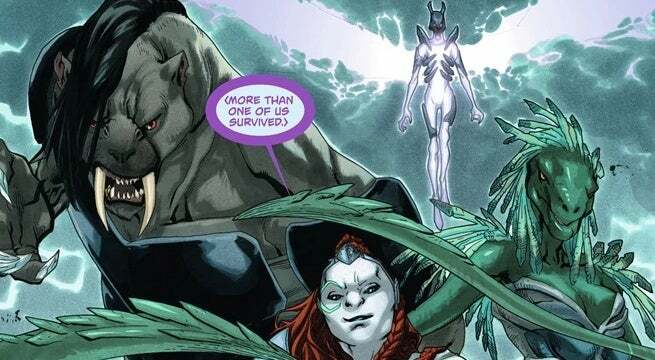 So, could Alura be behind the Worldkillers' creation? And how will Supergirl fare against the double threat? Fans will just have to keep watching tonight's episode to find out. 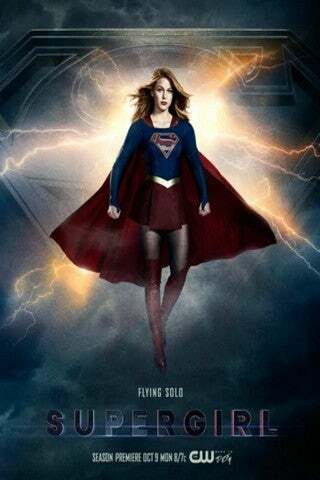 Supergirl will return with new episodes on April 16th at 8/7c on The CW. 'The Flash' Recap with Spoilers: Central City Gets Icy in "Snow Pack"